Rabbits are easily the most abused animals on the planet. These cute little balls of fluff are more than mistreated. I say this for several different reasons. 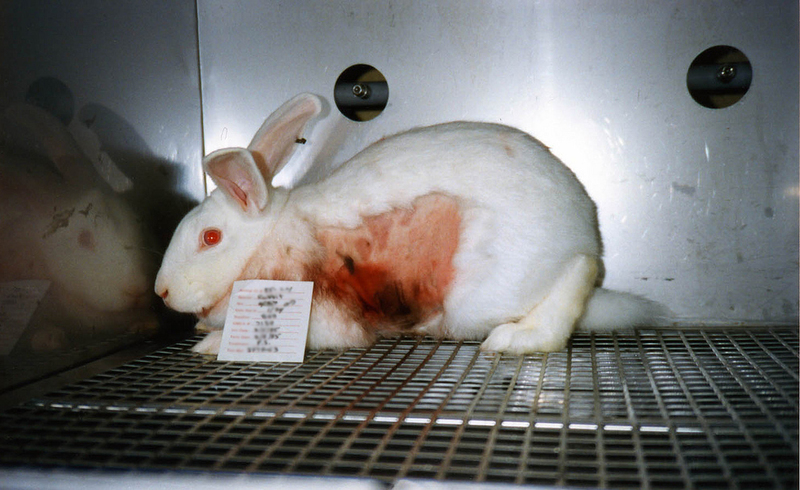 Rabbits are mistreated in many different ways, all of which are generally quite gruesome. 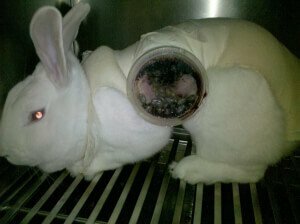 When you think of bunnies you often think of a cute and cuddly pet but this is the reality of what most fluff balls endure. The following information is in no specific order. 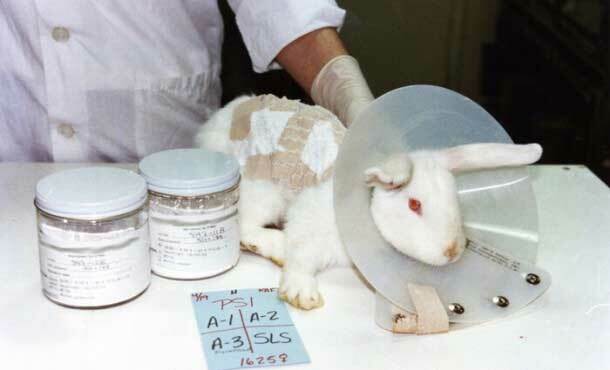 While this is not one of the worst things a rabbit can be forced to endure it is still cruel. Many rabbits are used as props in magic shows and even abused as gifts for the Easter holiday. These rabbits are usually done away with soon after the person becomes bored with them and they sometimes end up in worse situations than they were in, to begin with. For instance, this no-kill sanctuary that looks to be more like a rabbit hoarding facility. Rabbits are literally torn apart for their fur, the angora fur industry is cruel and disgusting. The video below will go over their dangerous and heart-wrenching practices. Please be aware that it is quite intense and upsetting. 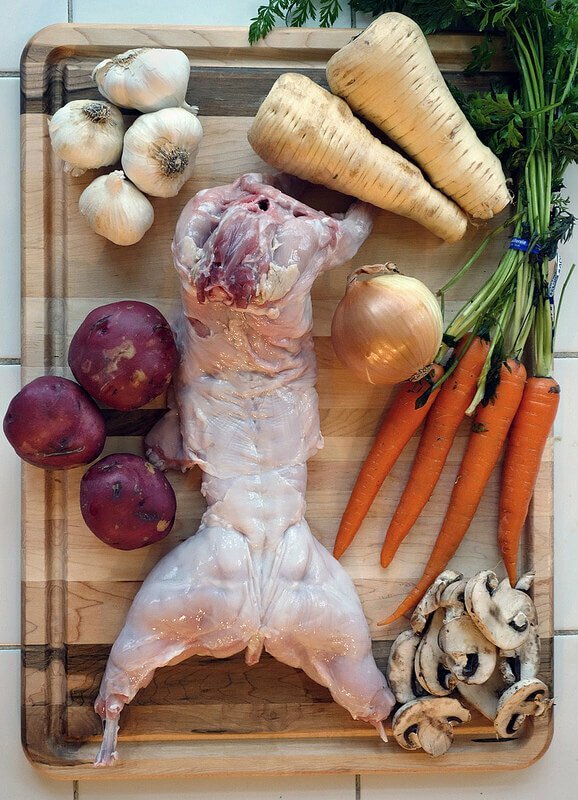 You may not think about people eating rabbits but it does happen. The fate of some rabbits is much different than those who are hunted in the wild for their meat. Some rabbits actually endure something much worse. 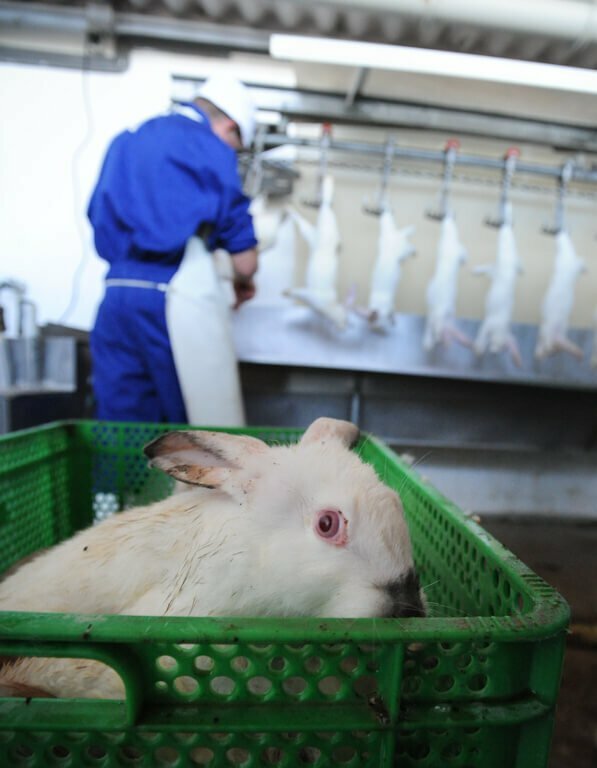 The rabbit below is waiting to be slaughtered, he/she has witnessed the deaths of others he/she is terrified and confused. 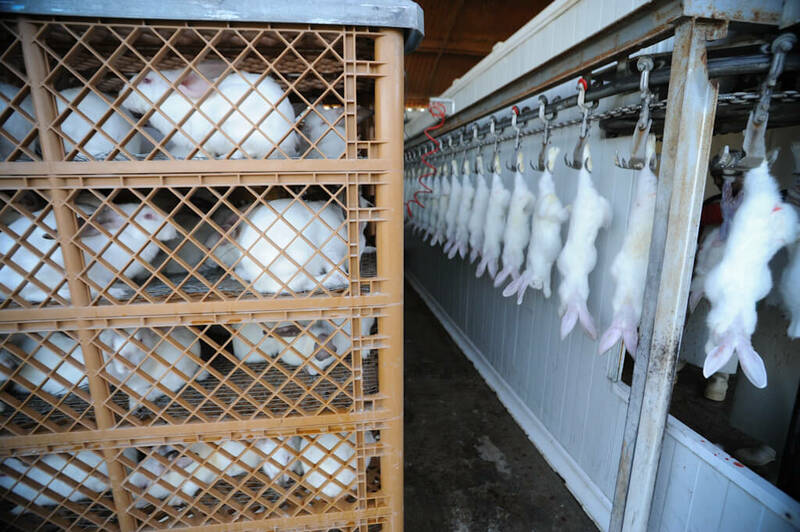 These rabbits like many factory farmed animals are hung upside down then have their throats slit. This is done in order to allow the blood to drain. We are not talking about the slaughter of a few or even twenty rabbits at a time but thousands if not more. No life is spared in these slaughter houses. The lives they live are short and sad. These animals are thrown around, slaughtered and turned into unnecessary meals. These cute little bunnies end up as dinner for many people who do not think twice about where they came from. 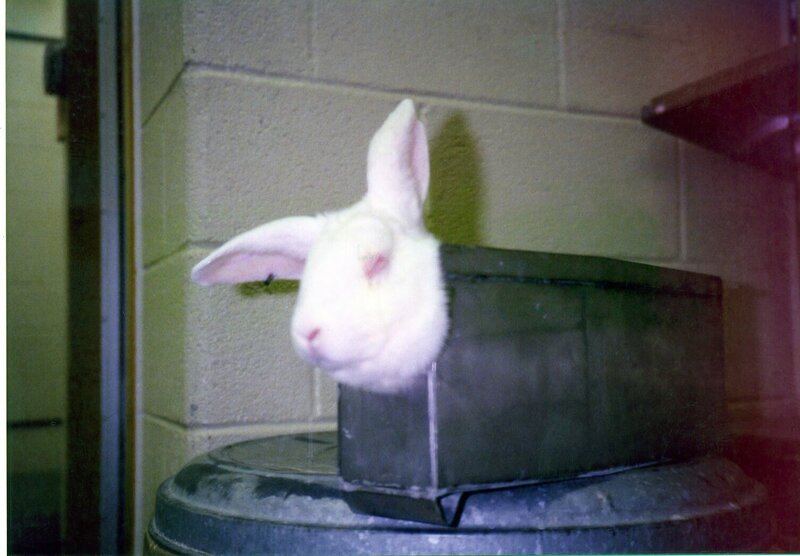 Every single year more than 241,000 rabbits are tortured in animal studies. 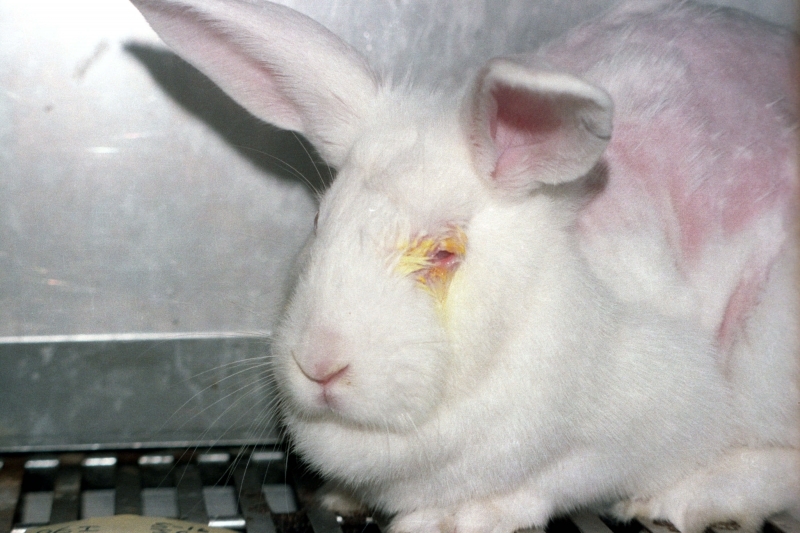 These rabbits are forced to endure having toxic chemicals put in their eyes and other places, this causes swelling and discharge. 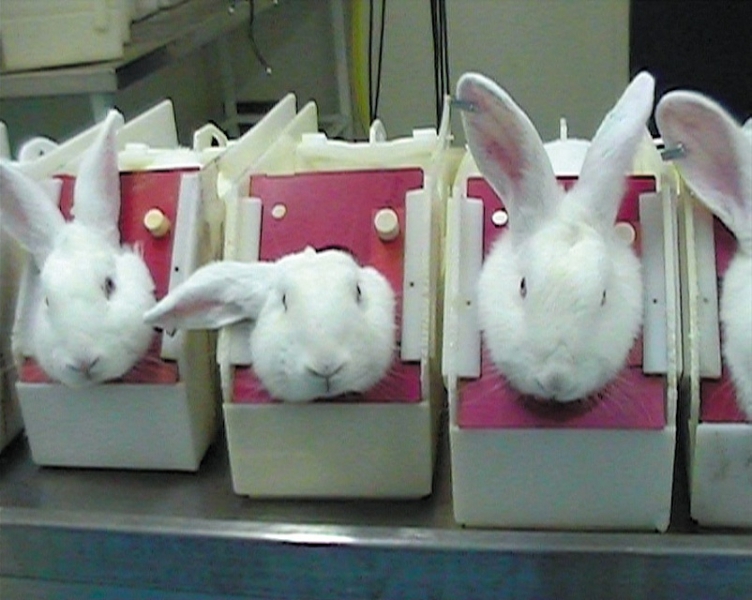 They are experimented on as if they were merely toys with no meaning. They are used as tools instead of living creatures. Does this look like a happy bunny to you? Rabbits are often used for this because unlike people and some other animals they do not have tear ducts. 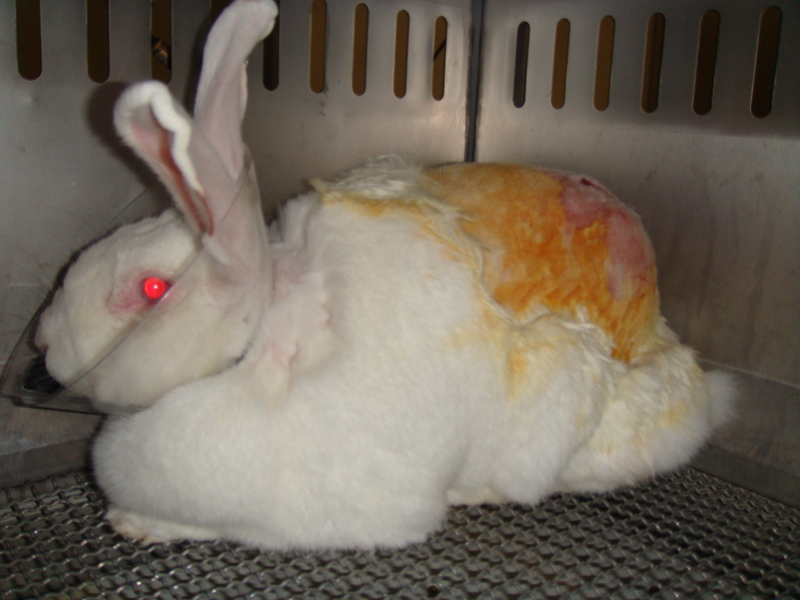 Rabbits cannot cry out the harmful chemicals being put into them, they are easy to handle, and breed quickly. These amazing creatures are used as tools instead of being treated like living creatures. Does this look like a happy bunny to you? 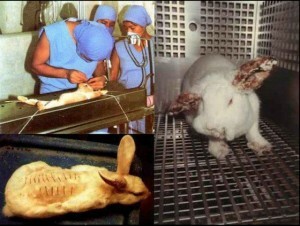 Rabbits deserve better than this. They are not toys to give your children to play with till they get bored, they are not tools to force into experiments, they are not here for us to mistreat. Now when you think about bunnies which one will come to mind?